Pictured in 1945 are 5 of 328's original charter members. They are:#1 Earl Snavely, # 3 Leslie Carlson, # 5 Herman Thwaites, # 7 Percy Miller and # 8 Nathan Shapiro. All 5 were WW I veterans and were 5 of the original 15 members to start the post in Clark. 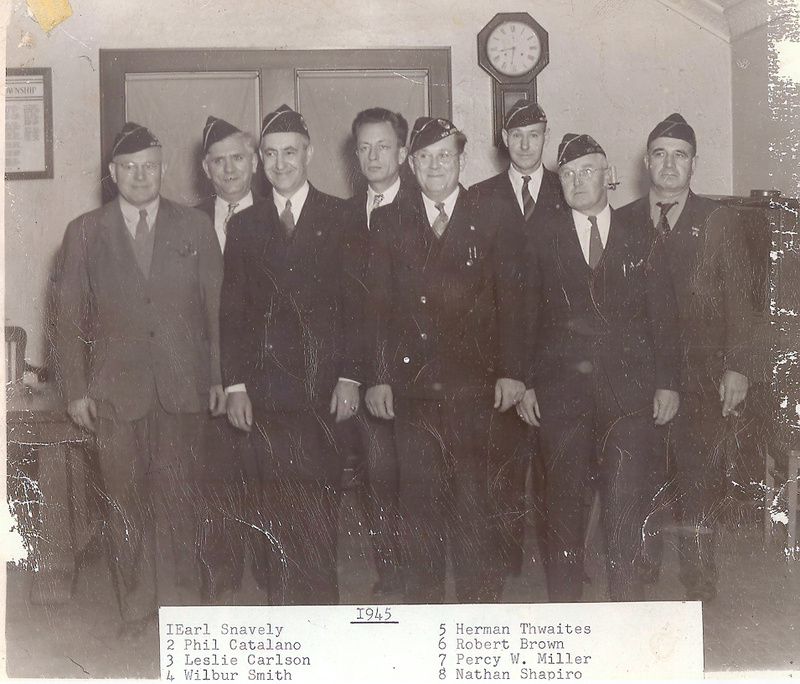 The photo was taken in 1945 at the then Clark Fire Dept. Firehouse where the parkway circle is now located. The upper portion of the firehouse, where this photo was taken, was later moved to Westfield Ave. and Liberty St. and would become the present upper portion of our post building. 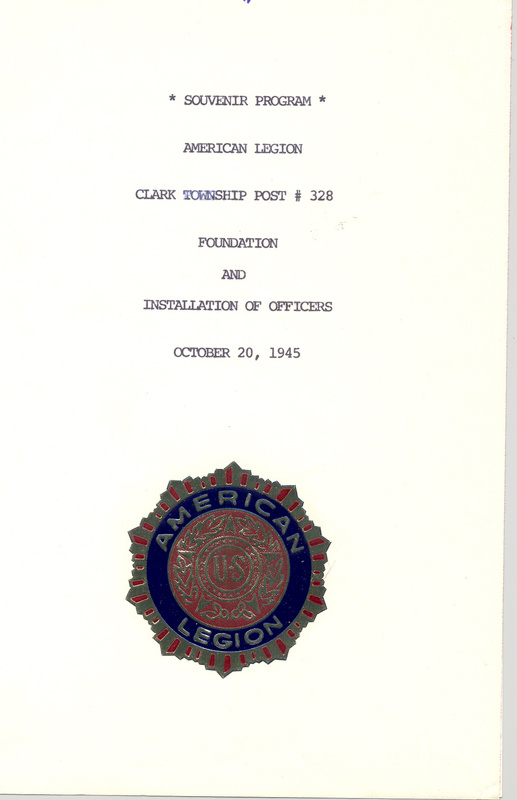 On 27 August 1945 ( 18 days after the last Atomic Bomb was dropped on Nagasaki and 6 days before Victory Over Japan Day ) , 15 military veterans of World War I and World War II, residing in the Clark area, met and submitted a charter application for the purpose of forming an American Legion post in Clark, New Jersey. 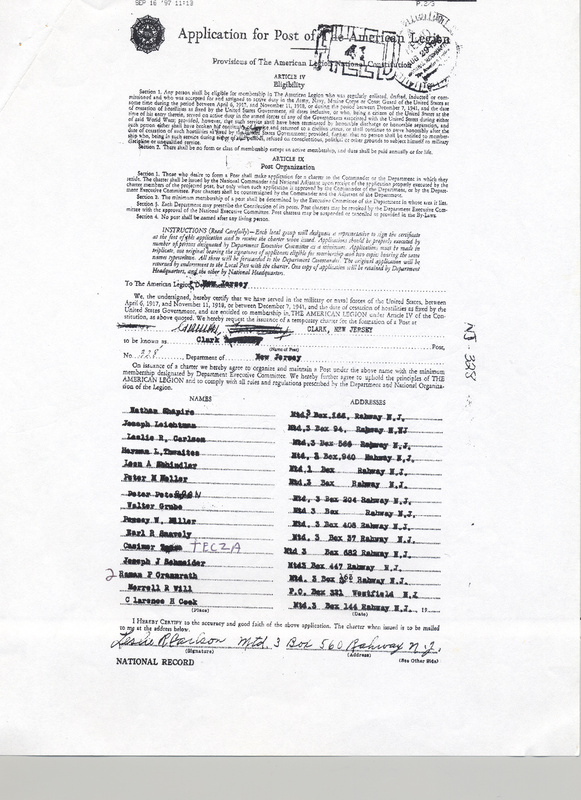 A temporary charter was subsequently issued and on 9 July 1946 a permanent charter was issued. The post's first "installation of officers" took place on 20 October 1945 at the old Clark Firehouse, then located where the Parkway Circle is now located. 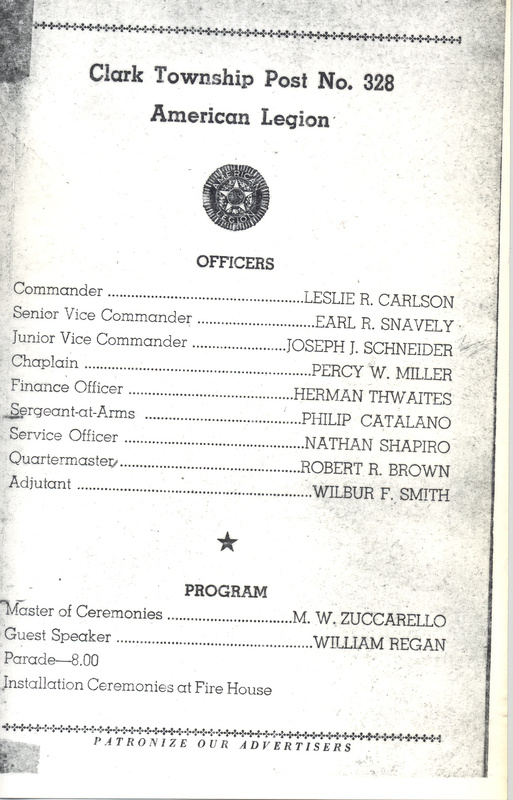 Leslie Carlson was installed as the post's first commander and he was also one of those original 15 charter members. 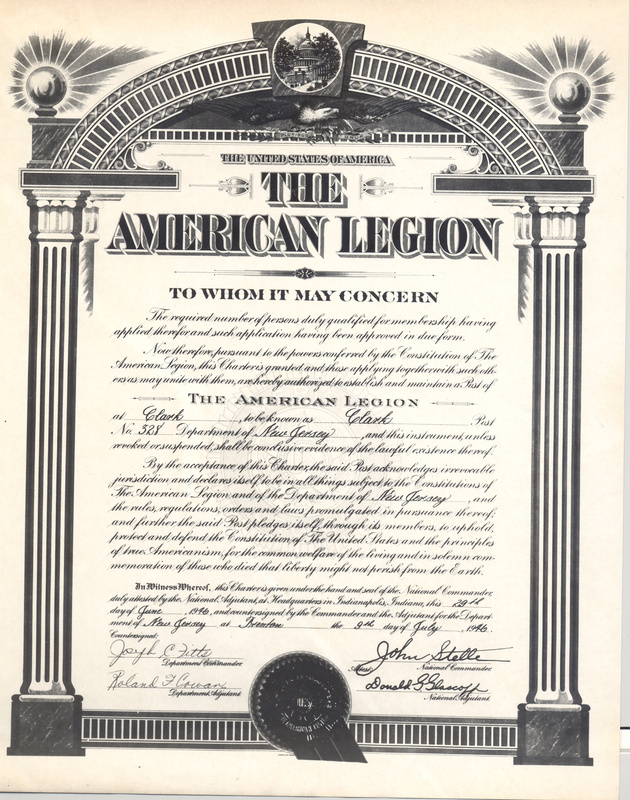 Pictured here is the original "Application for Post of the American Legion" with the 15 names and addresses of the charter members and the original permanent Post Charter.